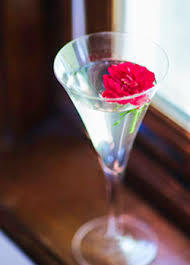 Hollywood(Spiritsman.com) 8/16/16 – Peony Vodka was invented in the Eastern Hudson Valley of New York in Millerton which is adjacent to the borders of New England. 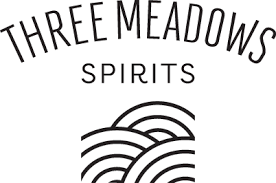 The people at Three Meadows Spirits have created a style of vodka utilizing 9 different flavors that will so vibrantly burst your palate you’ll feel like you just went over the edge of Niagara Falls! This premium liquor delivers its sweet and unique character after “going over the edge,” that’s the hard part capturing the texture but lots of fun! I somewhat remember the first cold shot I tried two to three weeks ago as a deliciously thick cascading plunge corrupting my calm “little lake at the bottom” but then the swimming began, ooohh! The hang time is exquisitely long and they think their ingredients are subtle!? These caring people filled with experience and culture have cultivated a one – of – a kind vodka! The patriarch over all of this creativity is led by a Stanford – educated woman who has raised three great men who help her on her 200 acre farm along with family and friends. Their motto has always been to celebrate the “pastoral tranquility and pleasures of carefree country lifestyle.” They do by having rows and rows of the perennial Peony flowers blooming every year. Thriving in the spring they produce three picture perfect varieties; red, white, and yellow. Maybe that’s how Three Meadows got their name. Each color has its own meadow? PEONY VODKA - Three Meadows Spirits “A Subtle Blend of 9 Ingredients!” permalink.